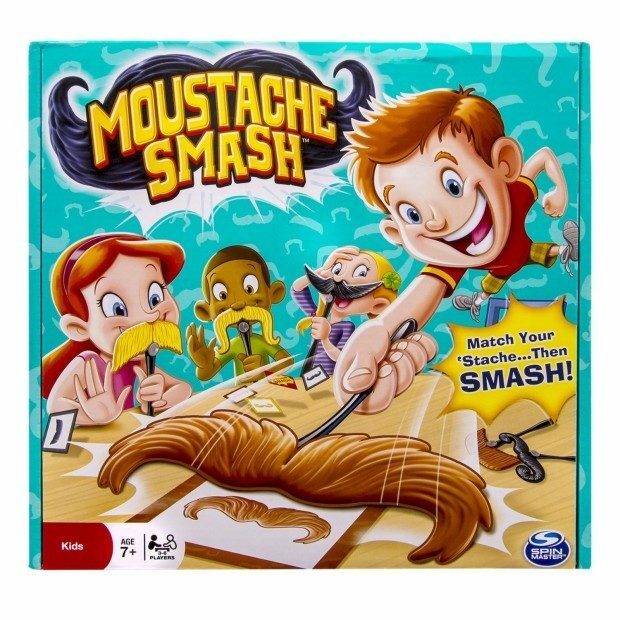 Head over to Amazon and get Spin Master Games – Moustache Smash for just $4.80 (reg. $15.99)! Remember which moustache you’re wearing and watch for a card match. If it’s the same color or shape, SMASH that ‘stache card! If you’re the fastest, you get a point. A Moustache Pass card makes everyone pass their ‘stache to their left. Don’t forget what your new one looks like or you might smash the wrong ‘stache! This is an Add-On Item and will only ship with an order of $25 or more. Shipping will be FREE with Amazon Prime or an order of $35 or more.